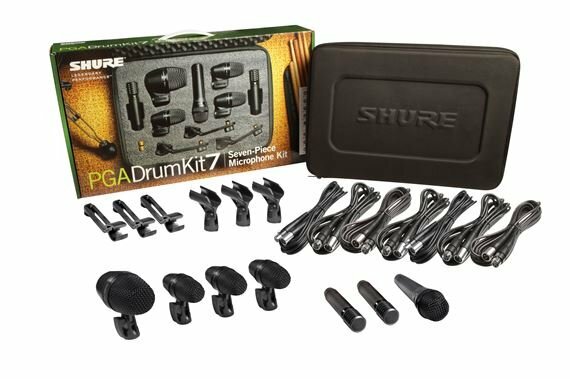 Shop Shure PGADrumKit7 Alta 7-Piece Drum Mic Kit With Case from AMS with 0% Interest Payment Plans and Free Shipping. PGA52 Cardioid Dynamic Kick Drum Microphone: For kick drum and low-frequency performance and recording, with swivel joint and quick-release latch. PGA56 Cardioid Dynamic Snare / Tom Microphone: For snare and tom applications, with swivel joint and quick-release latch. 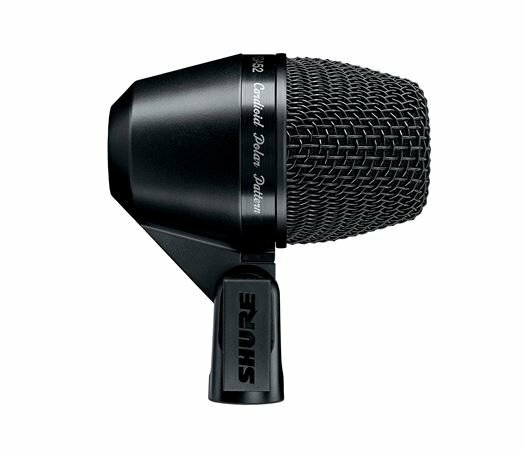 PGA181 Side-Address Cardioid Condenser Microphone: For amplified and acoustic instrument and vocal recording. Includes Mic clips, drum rim mounts and cables. Zippered carrying case is included. 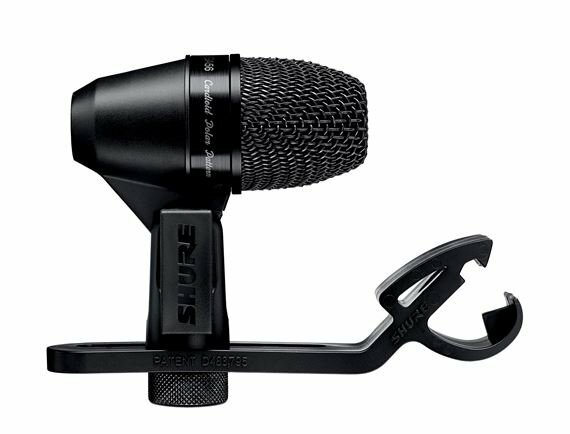 Shure Microphones have always delivered unmatched sound quality and durability, making them essential for stage performance and studio recording around the world. 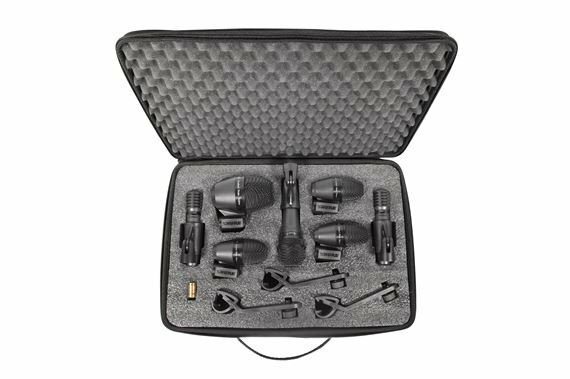 Tailored for performers of every level, Shure offers a complete family of wired microphones to meet any audio need. With the PG ALTA Microphone family, Shure continues its 90-year tradition of manufacturing audio products of the highest quality and construction. Featuring a sleek black metallic industrial design and cardioid polar patterns that reduce feedback and background noise, the PG ALTA family delivers rock-solid sound and reliability that sets the bar for accessible, professional-caliber gear for performance and recording. I AM SO LOVED WITH MY NEW SHURE MICS DRUM KIT!!!!! THEY WERE EASY TO INSTALL, LOOK NICE AROUND MY DRUMS AND THE SOUND THEY GET OUT FROM IS POWERFUL, SUPER HIGH ACCURATE AND STUNNING! !, TOMS SOUND LIKE NEVER BEFORE, KICK DRUM PUNCH STRONGER THAN OLD ONE AUDIX MICS, CLEAREST SOUND FROM HIGHS, DEFINITIVELY IS THE BEST CHOICE I'VE EVER GOT TO MY CHURCH GIFT.!!! ACTUALLY THEY LOVED ME!!!!!! Really great to start recording drums at home. Love these mics on the drums. Easy to set up and break down. Very clear too so equalizing is a breeze. We use these on all our live gigs and will soon be testing them for studio recording. Definitely worth the investment. Love the super fast shipping as well! They are a great product ,they are worth the money.